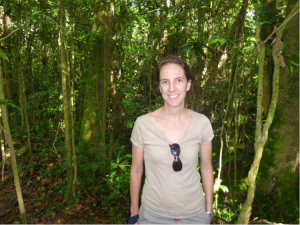 This week, we interview Alison Clausen, the Madagascar Country Director for the Wildlife Conservation Society (WCS). 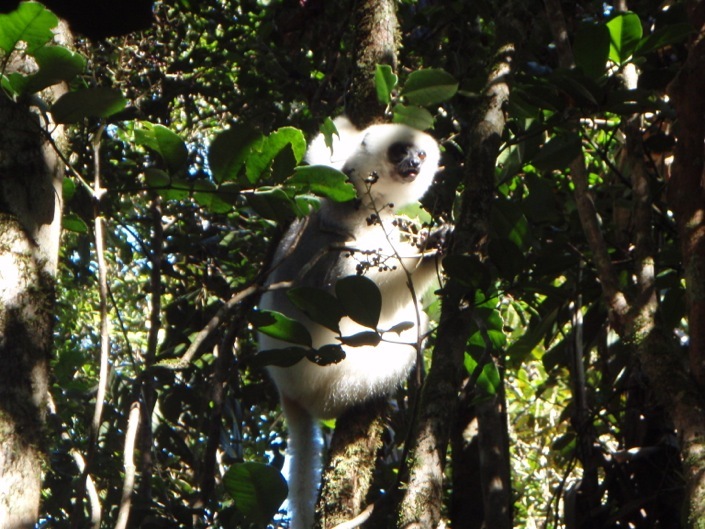 She is responsible for the continued development of a WCS Madagascar Program which is both site- and species-based, and promotes collaboration with government ministries, the private sector, and the community. She has worked in conservation for almost 20 years. For the last five, she has focused on environmental issues in Madagascar. Previously, she was the Environment and Climate Change Technical Advisor at the World Bank in Madagascar, and the Climate Change Program Leader at WWF Madagascar. Over the course of her career, she has worked in Madagascar, Kenya, Tanzania, Vietnam, Laos, Cambodia, Philippines, Thailand, Fiji, Tonga, France, and Australia. 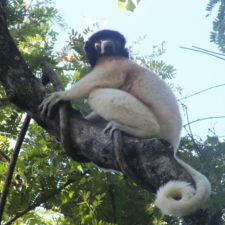 A Silky Sifaka in Antsahabe. When did you first get interested in working with lemurs and conservation, and what motivated you to undertake this work? I first visited Madagascar in 2003 and immediately fell in love with the country and its wildlife, including, of course, the lemurs. One of my strongest memories from that first trip is waking up to the eerie howling of the Indri indri in Andasibe Special Reserve. It’s a sound that still gives me goose bumps! It’s amazing to hear that and to know that these magnificent animals are out there in the forest going about their business. Since then I have also had the same experience with the whistling call of the Silky Sifaka in Makira Natural Park. Even after 10 years of seeing lemurs in the wild, looking into their eyes and hearing their calls still has the same effect — it is just otherwordly. 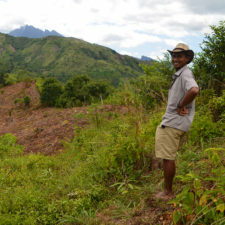 I am the Director of the Madagascar program of the Wildlife Conservation Society (WCS). We’ve been based in Madagascar for over 20 years and most of our work is focused in the northeast of the country. We manage the Makira Natural Park (the newest and biggest of Madagascar’s terrestrial protected areas! 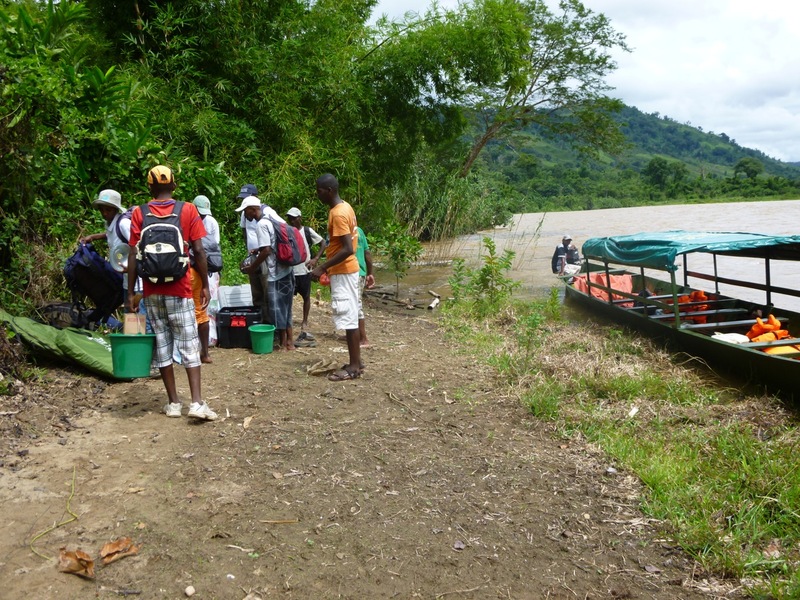 ), and we work closely with Madagascar National Parks in Masoala National Park that we helped create in the 1990s. This part of Madagascar — we call it the Mamabay landscape — contains the highest diversity of lemur species in the country. In Makira, there are around 20 species of lemurs including the Indri, Silky Sifaka (which was only found in this part of Madagascar in the early 2000s), and the Red Ruffed Lemur. There is an amazing diversity, but one that is under significant threat. The Silky Sifaka and the Red Ruffed Lemur are listed by IUCN as critically endangered. It’s a sad claim to be able to make, but the Mamabay landscape contains 6 of the 25 most globally threatened primate species. The zone in which we work is enormous (around 7000 square miles! ), and we carry out a wide range of conservation and socio-economic development activities, all of which aim to contribute to the protection of the species and ecosystems found in the Mamabay landscape. Activities vary from ecological monitoring missions, to marking of park boundaries and patrols to monitor threats to lemur species, to educational activities with primary school children and their parents, to support to villagers to improve rice production or to increase the profitability of vanilla or clove production (which are traditional livelihoods activities in this zone). We have over 75 people based in the field in the Mamabay landscape working towards our conservation goals, and we work closely with over 60 community associations that have contracts to manage natural resources around the park boundaries. I am based in the capital city of Antananarivo, and manage the overall WCS country program. So, my average day involves a lot of talking and sending emails, and unfortunately not enough fieldwork! In addition to the day to day management tasks, I spend a lot of time trying to raise awareness and funding for conservation in Madagascar, as we sometimes get a bit overlooked when compared to other African countries that have more “spectacular” wildlife. Madagascar is a magical place to live and to work, but it’s far from perfect. For me, some of the hardest parts of working here are the high levels of corruption that can derail conservation efforts, and the ongoing struggle to find a good balance between rural development (which is essential for this extremely poor country) and conservation of biodiversity. The means and the ends of these two objectives can sometimes create conflicts. 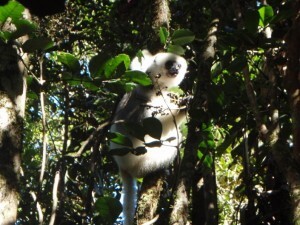 Additionally, it is a challenge to raise awareness about the unique value of Madagascar’s biodiversity amongst the public, decision makers, and financial partners. In Mamabay, habitat destruction from slash-and-burn agriculture and hunting for subsistence or by illegal loggers or miners are the biggest threat. We are very proud that in the Makira Park we have managed to halve deforestation rates over the last 5 years mostly as a result of working with communities, but also through significant enforcement and monitoring efforts. Issues surrounding subsistence bushmeat hunting raise all sorts of challenges as the meats providing vital nutrients. We are trialing different models, including poultry framing and fish farming to combat this issue. We hope to be able to scale up these efforts more broadly across the landscape in coming years. 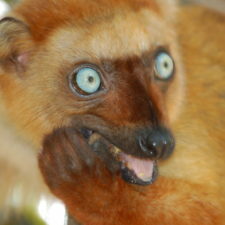 What is the funniest or most memorable thing that has happened to you while working in Madagascar? Falling in the river at 4:30 in the morning when I was staying at the Antsahabe Ecotourism Camp in Makira! I had just be woken from a very deep sleep as a group of Silky Sifakas had been spotted not far from the camp, and I was obviously not fully awake when trying to cross the river. Not very classy, but very much worth the drenching! I would like to see Makira being truly co-managed in partnership with prosperous local communities. 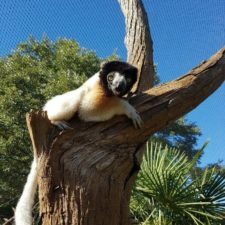 I would like to have the value of Madagascar’s biodiversity widely recognized, and have tourists come and see the amazing lemur species that are found there and contribute to the conservation efforts. We have two ecotourism sites developed in the Park and hope to open more in coming years including some wilderness treks through some of the most inaccessible forests in Madagascar. Watch this space! Financing helps of course, as we need money to pay our teams and buy the equipment. 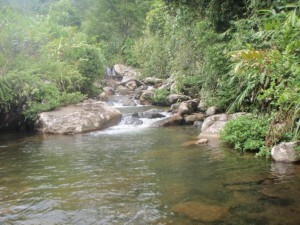 Makira is in a very isolated part of the country, and it’s a very big park, so it is expensive to keep it functioning. But it’s not all about the money, it’s also about spreading the word about the importance of what we are doing and the uniqueness of the species we are trying to save. 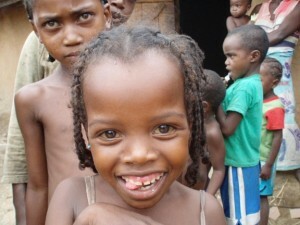 Support the work that the Wildlife Conservation Society is doing in Madagascar! 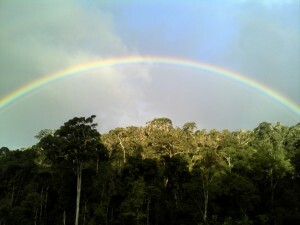 Donate to WCS’ Stand for Trees project in Makira National Park. Visit the Wildlife Conservation Society website. Spread the word to your friends and family about the uniqueness of Madagascar’s wildlife! The Wildlife Conservation Society (WCS) has been active in Madagascar since 1993. 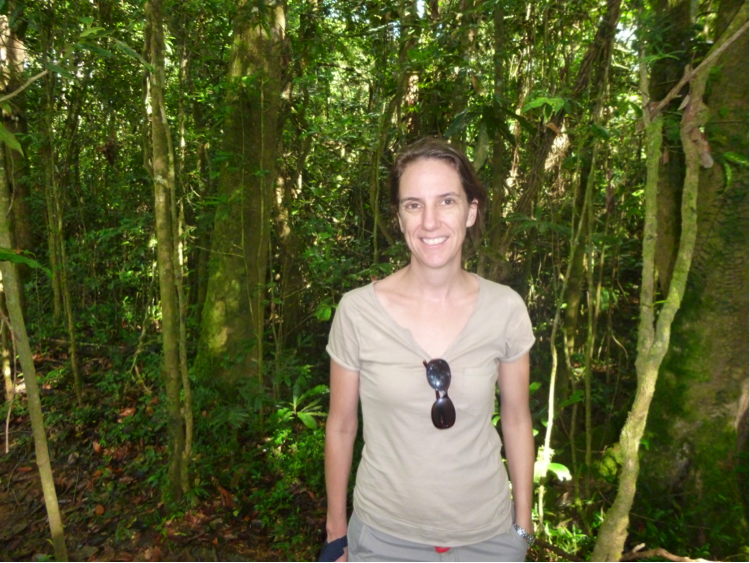 As Country Director, Alison Clausen oversees all of WCS’s work in Madagascar. She is responsible for the continued development of a WCS Madagascar Program that has, at its core, a site-based, species-based, and conservation challenges strategy, which promotes linkages across thematic sectors through collaboration with government ministries, civil society, and the private sector. Ms. Clausen has a double Masters degree in environmental management and environmental conservation. She has 19 years of professional experience in conservation and natural resources management, and has been working in the environment sector in Madagascar for the last five years. Prior to assuming the leadership of WCS Madagascar in January 2014, Ms. Clausen served as Environment and Climate Change Technical Advisor in the World Bank Country Office in Madagascar. There, she was responsible for development and implementation of programs and projects in environment and conservation, natural capital accounting, climate change adaptation / disaster risk management, and REDD+. Prior to that, she was Climate Change Program Leader at the WWF Madagascar and Western Indian Ocean Program Office, where she was responsible for developing and implementing a climate change adaptation program in Madagascar and the Western Indian Ocean region including resource mobilization, partnership development and team management. Before arriving in Madagascar, Ms. Clausen was a consultant in environment and climate change, working with the Asian Development Bank & various donors/NGOs, specializing in climate change, natural resource management project development and environmental assessment and management throughout South-East Asia. Over the course of her career, she has worked in Madagascar, Kenya, Tanzania, Vietnam, Laos, Cambodia, Philippines, Thailand, Fiji, Tonga, France, Australia.